NORTH COTABATO, Philippines - Darylle Asuncion, 12, didn’t know what hit him. For five years, the timid son of farmers is sad-faced while envying classmates’ new school bags and notebooks at Mlang Pilot Elementary School in North Cotabato. But on his first day as a sixth grader last school year, Darylle showed his freckles in glee. He sported his own new blue backpack that carried new school supplies. “I am now enjoying free schooling,” said this scholar of the Hong Kong-based Filipino foundation WIMLER Partnership for Social Progress, which helped 19 other scholars whose families earn less than a dollar a day. The opportunity Asuncion got from WIMLER not only made him finish elementary schooling last school year: he finished with style —with academic honors. Ask Marilyn Cabardo, Asuncion’s adviser, who noticed that Darylle begs off from reciting in class discussions. “I observed some changes in (Darylle’s) attitude. He started to join school activities and recite before the class. He did well in his subjects,” Cabardo said. Asuncion and 19 other scholars were recommended by the schools’ parents and teachers’ association (PTA) for support by WIMLER. 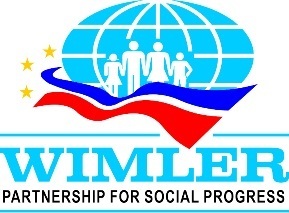 WIMLER president Leila Rispens-Noel, a Filipina-Dutch, said that while WIMLER will continue finding sponsors for poor students from Mlang, she hopes the Mlang Pilot Elementary School’s PTA can earn enough income to cover the needs of their own pupils. The partnership with the PTA, not just for scholarships but also for a school-based vegetable garden and poultry project, is among the highlights of the two-year-old foundation’s 2010 projects. WIMLER, an example of a overseas Filipino group involved in migrant philanthropy, doesn’t even mind if its fund balance at the end of the year 2010 is below a million pesos. Anyway, we are still a young, small foundation, Rispens-Noel says. The commitment, though, to promote inclusive and sustainable development is there, WIMLER said in its 2010 annual report. But for the new elementary graduate in Darylle Asuncion, his pride is now evident. On graduation day at Mlang Pilot Elementary School, he scribbled a “thank you” note to WIMLER: Darylle says he will definitely miss Grade VI had WIMLER not arrived.